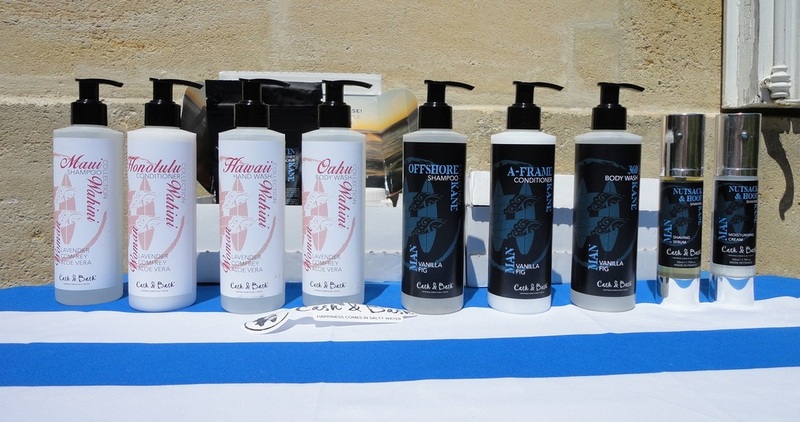 Cash & Bash are an irreverent bunch who started this new brand from Jersey (in the Channel Islands). Their enthusiastic approach to life is apparently born out of a fulfilled passion for surfing (lucky them!) which has inspired a unique line of skin and hair care products to cosset and revitalize bodies exposed to lots of sun and water. 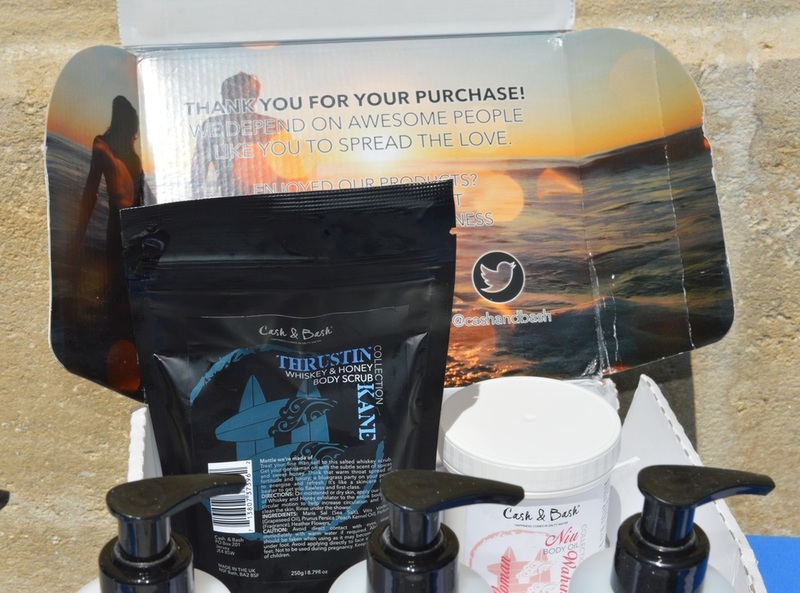 Their prices are not the lowest I've seen but the purity and superb quality of their formulations, and the commitment to organic ingredients and cruelty-free stance of the company make their products well worth considering. I was sent a number of samples to try out and am impressed with the overall quality and effectiveness of both the male (Kane) and female (Wahini) product lines. The packaging also speaks of great attention to detail: multiple purchases arrive carefully protected by tissue paper in beautiful sealed custom boxes, adding to the deluxe experience. Cut from the same cloth as the Offshore Shampoo and A-Frame Conditioner of the same Kane range, this body gel smells absolutely heavenly from the bottle and even better as a lingering, grapefruit-fresh halo of male pampering on the man in your life. According to my husband, it also leaves his skin softer than his previous shower gel and gives a sense of freshness and relaxed alertness. It's the sort of body wash that I imagine the original James Bond might have stashed in his overnight bag, causing Miss Moneypenny to gaze after him in defeated wonder. Flights of the imagination aside, I love this gel and the lingering scent it leaves in the shower. It comes in a clear plastic bottle (holding 250 ml of product) and has a twist-locking pump. Not much is needed at one time, and the natural ingredients (mostly derived from coconut oil) are kind to the skin and perfect for summer days to counteract the sun's dehydrating effect. Like other products from this brand, it's not tested on animals. Worth using for the scent alone. The Kane range is designed for men who love to be outdoors, exposed to sun, wind and salty water. What I really appreciate is that, like the other products from this brand, it's not tested on animals. 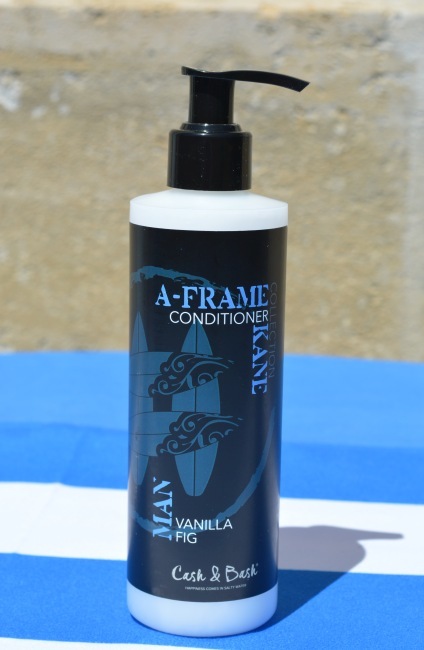 Made of natural ingredients (mostly derived from coconut oil, as far as I can see), this rich hair conditioner has a wonderful warm-but-fresh scent of vanilla and some elusive aroma that reminds me of Hawaiian flowers but turns fresh and edgy on men's skins. I love the way it smells on my husband. Even without any of the scalp irritation conditions that this product is designed to alleviate, one is aware of the profoundly silky texture, luxurious in fact. It works perfectly hand in hand with the complementary shampoo from the same brand. It is also a safe bet as a leave-in conditioner, for those days when your hair has had so much weather damage that rinsing it out is a bit of a waste. My husband has noticed a big difference in the texture and feel of his hair, since switching to this Kane power duo. It would be tough to go back to generic, synthetic hair care after experiencing these natural alternatives. Men's faces need moisturizing too, especially after sunbathing, being out in the wind and after shaving, which is always mildly traumatic for the skin. This brand was created by surfing enthusiasts who know all about the downside to skin of too much sun and salty water. I try to buy skin care that my husband can use as well as me (that means natural ingredients, not too perfumed) but there is no doubt that men-specific products are always preferable and certainly make my man feel special. The airless-pump container holds 50 ml of highly-concentrated product; very little is needed for each application, which makes the price a lot more understandable. The Kane range is designed for your average outdoors type of guy, using the Hawaiian word for Man (but also the name of a major Hawaiian god). 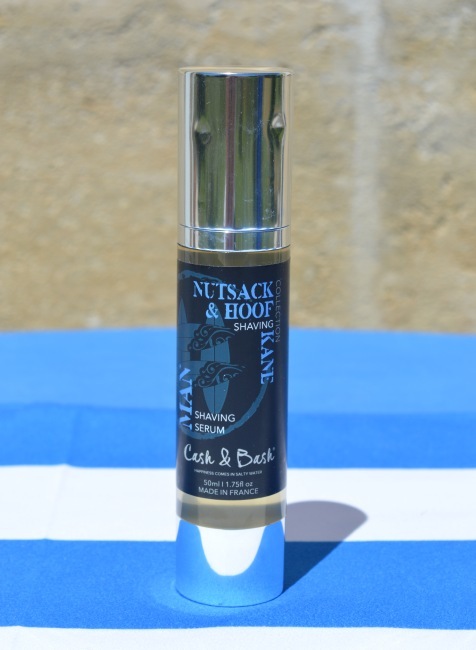 Like the rest of Cash & Bash's products, this cream is not tested on animals and is made from mostly natural ingredients. The main ones listed are some of my favourite essential oils: Sandalwood, Neroli and Mandarin (all present in the best men's perfumes) in a carrier base of oils of Sunflower Seed and Camelina (an edible type of flax stuffed full of Vitamin E and Omega-3 fatty acids); also in the mix: Sweet Almond, Ho Wood (better known to me as Ravintsara), Palmarosa (a kind of lemongrass), Bitter Orange, Pomegranade and Aloe Vera. 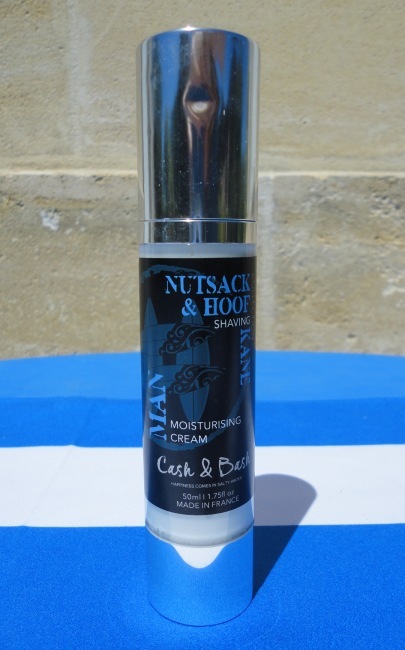 The resulting cream (it's much thicker than a lotion) is a terrific anti-inflammatory and soothing product, very useful as an after-shave balm but also pretty addictive as a daily face smoother. Having tried it on my own face and neck, I can confirm that it is absorbed instantly (on me anyway), nourishes deeply and leaves absolutely no shiny residue. If your skin is irritated, it will calm the redness; if it's dry and chapped, it will restore softness and normalize moisture levels. If it weren't for the decidedly masculine aroma, I would be tempted to use it myself! As it is, my husband no longer needs to “share” my hydrating skin care, and I must say the scent left behind on him is very appealing. This man-specific shaving serum is very different from the more familiar shaving foams and gels that my husband normally buys. For a start, the airless pump container requires “priming the pump”, meaning you have to expel all the air out of the bottle before the contents start to come out in any quantity. Once done, the fairly viscous clear gel is delivered in short burst. Although tempted to pile it on thickly, my husband started with an amount similar to an almond and found it to be quite sufficient to address a week-old growth. I felt the consistency of the serum applied to damp skin, and it reminded me more of a face cream than a shaving product, but I have to say, the razor was gliding very easily, leaving behind soft, smooth, bare skin. Once the shaving was done, a little rinsing with clear water produced a milky white residue which was quickly absorbed. The scent is delicious, a little sweet until body chemistry adapts it, but I detected vanilla and some of the lighter herbal elements. The ingredients include some lovely botanical compounds like rice bran oil, sunflower oil, extracts of yarrow, peppermint, melissa and mallow, vitamin E and coumarin, a phytochemical responsible for the vanilla-like scent. The blurb says it's a multi-purpose product that can also be used as a face wash and moisturizer, so it would be useful when luggage space is at a premium, but my husband is going to use it strictly for shaving, since there is also a very creamy moisturizer in the range. If you find it a bit pricey, consider that the 50 g will last you a lot longer than comparable gels based on artificial soapy compounds. This brand does not test on animals and is committed to natural ingredients as far as possible; I appreciate the honesty and the intent. The Kane range is designed for men who love to be outdoors. Lots of natural ingredients (mostly derived from coconut oil, as far as I can see) and a captivating scent of vanilla and something else that reminds me of Hawaiian flowers but turns fresh and edgy on men's skins. I love the way it smells on my husband and, like other products from this brand, it's not tested on animals. My husband doesn't have any scalp issues requiring soothing, but he does appreciate this shampoo's ability to remove salty water's residue from his hair. Even gummy chlorine washes off easily without drying out his hair. 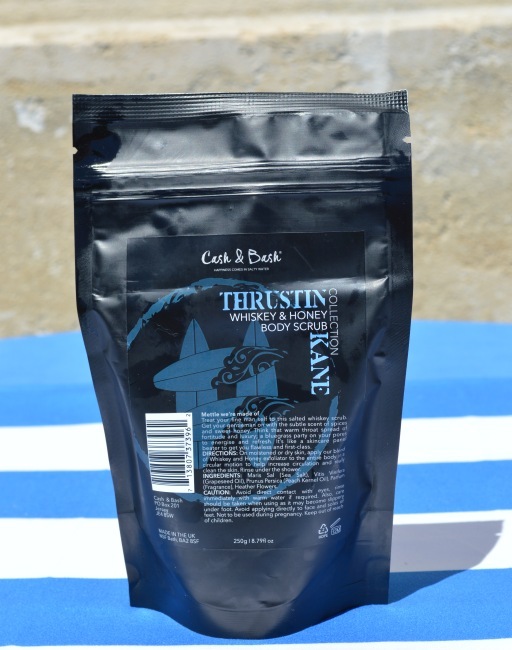 For a natural product, it suds pretty well and you won't need very much at one time. 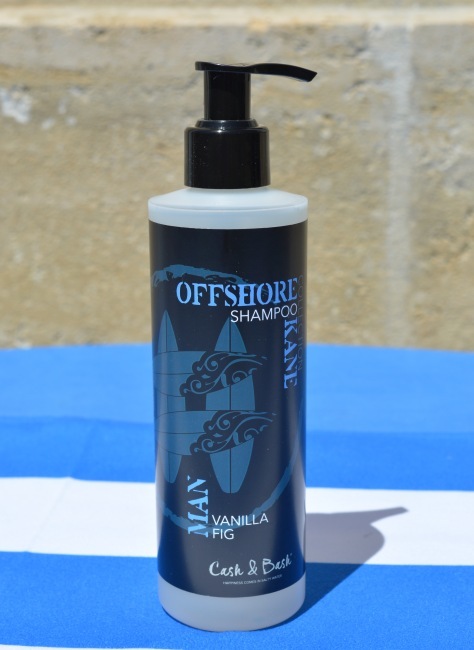 Coupled with the conditioner from the same range, this shampoo has become his favourite way to deal with the effects of sun, wind and salty water, especially in the summer. Whiskey and honey (even when enriched with Grapeseed Oil and Peach Kernel Oil) is definitely not a combination created for the ladies, so I asked my husband to be the test subject. He wasn't keen at first, salty scrubs not having appeared on his grooming horizon before, but I explained the benefits and showed him how to apply the granulated mixture on moist skin. I think what finally convinced him was my earnest assurance that he would get a deeper tan as a result of gently exfoliating the dead skin cells that were blocking the surface. Also in the summer, despite swimming nearly every day, he was experiencing some flakiness and itchiness, especially on his back. Having mastered the technique of exfoliating without excoriating, he now has the buff and smooth skin I had promised, and I get to sniff that fascinating, complex but totally manly scent of natural ingredients that some people like to make into a drink. The fine texture of this scrub allows a nice massage which also improves blood circulation. Unique product that we both like very much. The only disappointment was to see the modest quantity in the pouch (250 ml). My body scrubs usually average from 360 to 500 g per tub.